Since their formation in 1986, Prong has been putting out album after album of “tough-as-nails” metal that pummels audiences. Their newest album Songs from The Black Hole is no exception. From the first note of the album’s opener “Doomsday Doomsday” it becomes a barn burner. It sounds about as loud and as angry as any metal album can. But what is really exciting here is the growth that you can hear in this, their twelfth album. Along with a new album also come more new musicians. 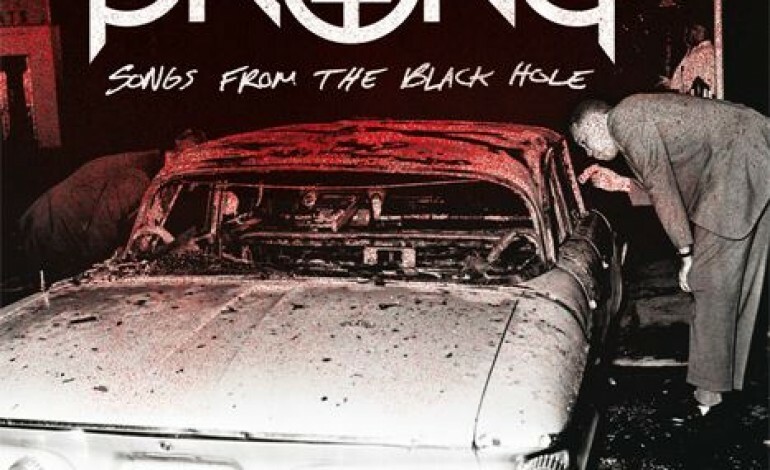 Prong has pretty much been a revolving door since the early ninties, but the band’s newest members crush it throughout Songs From The Black Hole. Art Cruz’s drumming is really crisp and keeps the fast and steady pace of the album together. Jason Christopher, the bassist, also does an incredible job of “holding it down” so to speak. Both of them should be proud of their contribution to Prong’s history, and considering that past members have gone on to be in some of the biggest bands in the world, they can hold their heads high. Most of the time metal bands – especially those that have been around for as long as these guys (going on almost 30 years) – tend to get boring and stale. But Prong seems unafraid to try some new tricks. “Seeing Red,” the sixth song on the album, sounds like it could’ve come from any Queens of the Stone Age album and could easily be a modern rock radio favorite. The album’s last track, “Cortez The Killer” is almost seven minutes long and although it is not their best work, it is something to break the monotony of the blistering pace of the rest of the album. It isn’t going to be winning anyone awards, but Songs from the Black Hole is a pretty good album. After all the line-up changes, years of touring shows, and even downtime, Prong has shown that no matter what they will still be playing shows, still shredding on their albums, still bringing the pain.